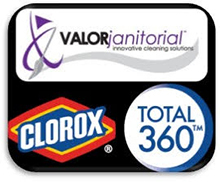 If your business is in Fort Worth, give Valor Janitorial a call. Valor Janitorial is a local commercial cleaning company that can take care of all of your janitorial needs. We service a wide range of clients and facilities, including churches, schools, bottling and food facilities, commercial buildings, medical offices, and more. We offer a wide range of office cleaning services at affordable rates, including commercial carpet cleaning, daily and nightly office cleanup, floor washing and waxing, and rapid response emergency cleanup. And the best part? Our employees provide superlative customer service that will keep you smiling. Forget about hiring out the services of a national commercial cleaning chain. The only real way to ensure that you get superior service is to work with a local company that understands what you want and can be there for you 24/7, 365 days per year. Please contact us today at 214-238-9550 to request a free, no obligation estimate. Celebrating Earth Day – Everyday! Carpets and rugs are two very different things, and although they have similar features, one is still much easier to remove than the other.